For those looking to enjoy the relaxing beaches, Mediterranean warmth and thriving nightlife of Juan les Pins, this hotel is in the perfect location. 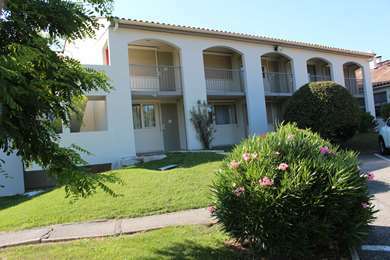 Situated in a commercial area close to Nova Antipolis business district, public transport services are only 200 m away. The Antibes town centre is 3 km away. 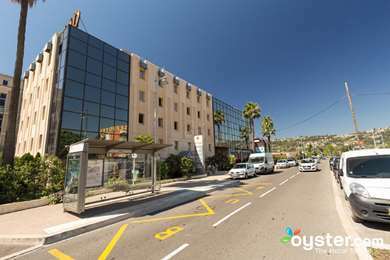 Our hotel is conveniently located 15 km from the Nice Cote d'Azur airport. Make the most of your stay by exploring the region. Two km from your hotel, you will find an Olympic-sized swimming pool, a beach, and the Parc de la Valmasque with its many fitness trails. The ramparts of Fort Carré and Juan les Pins town centre, with its casino (La Siesta), themed bars, restaurants, shops and endless summer nights, are only 3 km from the hotel. The hotel has 46 non-smoking rooms, including singles, twins, doubles, triples and quads. Two rooms are accessible to guests with reduced mobility. Children under ten can share their parents' room free of charge. All rooms are air-conditioned and feature high quality bedding, free Wi-Fi, a flat-screen TV, and tea and coffee-making facilities. There's also a hairdryer and a bathroom with a bath or shower. Enjoy a balanced breakfast buffet from 6.30 to 9am. 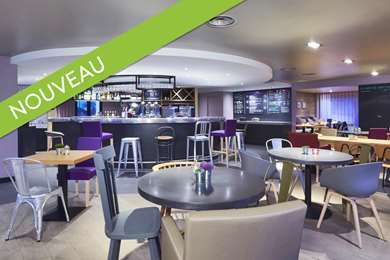 Choose from a selection of tea, coffee, fresh fruit juice, cereal, pastries, cold meats, yoghurts and fruit salads. Lunch is served from 12 to 2pm and dinner is served from 7 to 10pm. Traditional and regional dishes are on offer and a children’s menu can be provided. Room service is available until 10pm. The hotel has a swimming pool, private car park and friendly staff ready to greet you in English, Portuguese, German, Italian or Greek. There are two conference rooms which can accommodate 20-35 delegates theatre-style and can also be combined to create a single space. 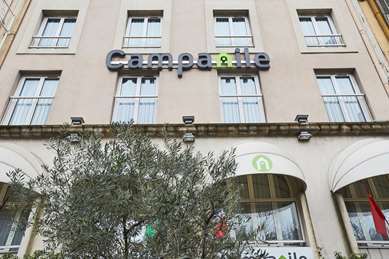 The Hotel Campanile Antibes - Juan Les Pins offers 46 modern and comfortable rooms that will make you feel at home! All rooms are non-smoking. Double, single, twin, triple and quad rooms are available. Each one of our rooms features high quality bedding, a private bathroom, a hairdryer, a flat-screen TV, air-conditioning, free Wi-Fi access, and a desk. Enjoy a range of dishes at our onsite restaurant. Cannes via motorway: exit Antibes, direction Super Antibes, turn left at the traffic circle, driection "Centre d'Affaires" and pass in front of Decathlon (sports store). From Nice: turn left at the traffic circle, direction Nova Antipolis. From the "route nationale" (RN): direction Carrefour shopping centre.